Here’s one last toll fare hike story to round up today’s collection. 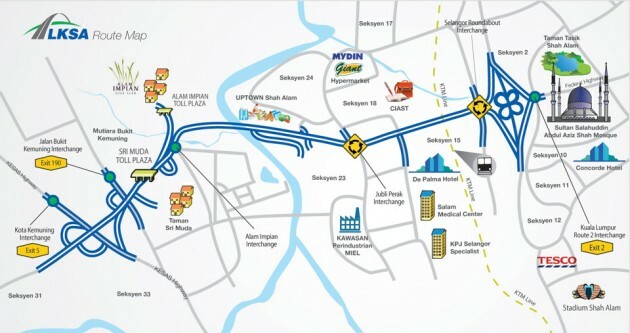 After similar announcements by Maju Expressway (MEX), SMART tunnel, DUKE Highway, Karak Highway, LATAR, Kajang SILK, Guthrie Corridor Expressway, Besraya Highway, AKLEH, NPE and LEKAS; here’s one by Prolintas for the Lebuhraya Kemuning-Shah Alam, LKSA. Toll fares for Class 1 passenger vehicles at the Seri Muda toll plaza will go up by 50 sen from RM1.20 to RM1.70. Cabs will pay 30 sen more (from 60 sen to 90 sen) at this plaza. 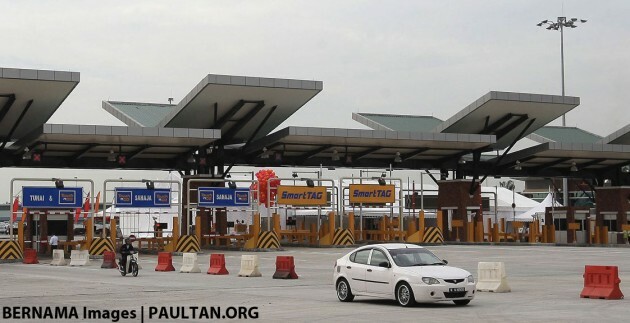 Over at the Alam Impian toll plaza, Class 1 fares will be 90 sen (up 30 sen) and taxis will pay 90 sen too (up 60 sen). No change for buses – it’s 60 sen at Alam Impian and RM1.20 at Seri Muda. Like the other highways, the price increase will take effect from this Thursday, October 15. I don’t know why today everybody complaining. Everybody also whatsapp to each other saying so high lah, so susah lah, GST la. Aiyaa….stop complaining la people. Be grateful. We live in a wonderful country. We have a safe and stable Government. Learn to say Thank you. After all, is 50 sen going to kill you? and make you bankrupt? If you earn RM5000. Now, it will just be RM4999.50. Only 50 sen less lah!!! Can you donate your RM0.50 to my account every day? since only 50sen less per day only !!! Just PM me your contact no. i give you bank account no. to you. You are always saying stupid things! You might travel once in your lifetime on that rm0.50 hike toll. These Road users use EVERYDAY! 2 ways already rm1. Some travel 2-3 tolls a day to reach workplace. Average rm3 hike. That is additional of near rm90 a month! This is the best place to live! everything increase because they want us to work harder and be smarter. Adoi, so many toll increases. Can paultan team summarize everything? Its like the whole site is covered with toll news now. See. Increase. When currency drop later, the rate stays. We already suffering so many things expensive due to currency. This also again taking advantages. As I said, I want to make our country to win the “the most expensive country” title. Toll charges increase is first step. Next, GST percentage to 8-10% (depends on my need). I need more red to support. More red means more donations. This particular Toll has increased by 58.33%, assuming there are 100k vehicles using this express way per day, the extra money collected will go up by RM 50K a day one way.